The Samsung Galaxy Note 9 still hasn’t been revealed by the company but a leak has already allowed us to see how fast it will be, and it’s a Galaxy S9 Plus beater. A benchmarking test, that appeared on Geekbench, has revealed that the Samsung Galaxy Note 9 will come packing an octa-core Qualcomm Snapdragon 845 CPU running at 1.77GHz and backed by a hefty 6GB of RAM. The multi-core score comes in at 8806 with a single core at 2190. That means this phone will run faster than the Galaxy S9 Plus (8420 and 2390 scores), but slightly slower than the Galaxy S9 (8894 and 3548 scores). This isn't a bad thing, though. As you can see the multi-thread score is very similar to the Galaxy S9 but the single core is lower – this could simply be to make battery life more efficient on the Note 9 when running less power intensive tasks. What else does all that mean for potential Note 9 owners? For one thing it can run face detection (yup, it’ll have that) in milliseconds. But what’s also cool is a reference to HDR support suggesting the Note 9 will get the S9 style Infinity Display meaning a Super AMOLED with QHD+ resolution and that high dynamic range for rich colours and contrast. Samsung is expected to pack and in-screen fingerprint sensor into the Note 9 as well as a larger battery than its predecessor. Samsung should launch the Galaxy Note 9 this August. 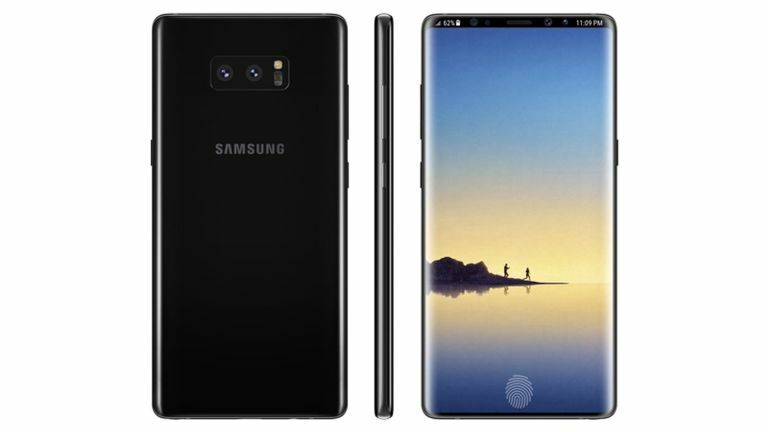 For all the latest Note 9 leaks, check out our article Samsung Galaxy Note 9 leaks and rumours, which is kept regularly updated.